Hoff’s Horrorfest is a monthly show at Brit Pack (3rd floor, 153 Lafayette, Manhattan) featuring stand-up comedy from me (Hoff Matthews) and a guest performer, followed by a horror movie screening. It’s free and BYOB. This month’s installment will be at 9:30pm, Friday, March 27th. RSVP to hoffmatthews@gmail.com to guarantee admission. It’s often been theorized that horror movies thrive on poverty. That’s why so many of the genre’s classics have been micro-budget affairs (Night of the Living Dead, The Texas Chain Saw Massacre, The Blair Witch Project, etc. ): The lack of slick production values gives everything an unsettling griminess, and the inability to afford elaborate special effects leaves the threat mostly unseen and therefore more frightening, because, after all, it’s what we don’t see that really scares us. And that’s often true. But every once in a while there’s a high-profile studio extravaganza like Poltergeist that manages to hit the nail on the head. 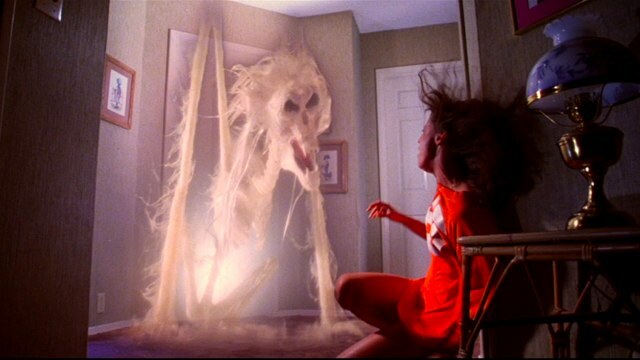 Poltergeist, directed by Tobe Hooper but rumored to have been heavily shepherded by producer/co-writer Steven Spielberg, is by no means a subtle movie. It takes its time early on, as the central family starts to notice something slightly off about the new house they’ve moved into, but before long every supernatural horror trope available is being tossed at the audience, from creepy clown dolls to giant screaming skulls to legions of rotting corpses. To this thing! You could do a whole movie about whatever the hell this thing is! 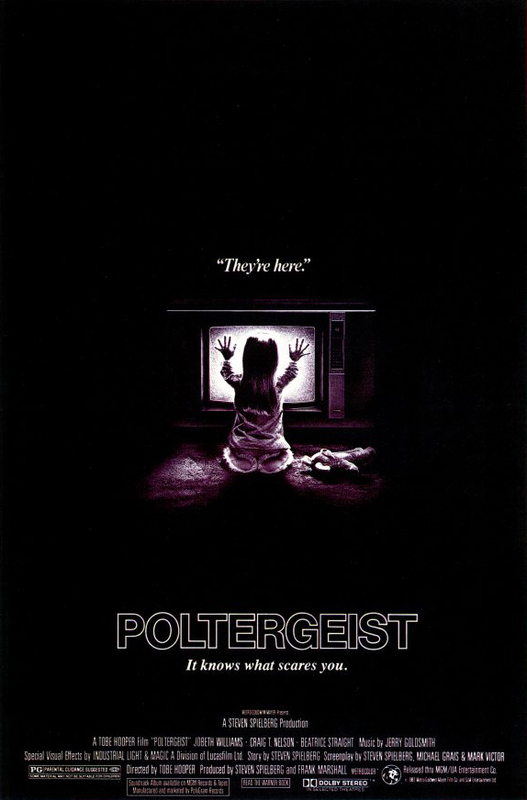 And while that kitchen-sink approach would probably be enough on its own to make the movie worth watching, Poltergeist also manages to couch its spooky goings-on within a believable family dynamic and escalate its action according to a carefully calibrated structure, allowing its horror elements to be energetically entertaining without tipping over into campy absurdity. There may never be a better example of horror as roller-coaster FX showcase, and with a remake due out in May, I figured this’d be a good time to revisit the impossible-to-improve-upon original. Our guest performer this week will be Myka Fox, a terrific stand-up who’s been on HP5000 several times and whom I’m very happy to have on the bill at Horrorfest. This is gonna be a good time. See you on the 27th! ← Upcoming Show: March’s HP5000!